Not a stellar week for new releases, but we do get a Best Picture nominee. The Curious Case of Benjamin Button – This film arrives on DVD courtesy of the Criterion Collection, so you know it is going to be immaculate. The Brad Pitt drama about a man who ages backwards was not a film that I loved on first viewing. In fact, I think it is the weakest of this year’s Best Picture nominees. I’m looking forward to revisiting it, and seeing if it holds up better second time around. It is a very well crafted film. Strong performances all around, amazing special effects, great attention to detail when they are showing Benjamin’s past. You can tell director David Fincher [a noted perfectionist as a director] made sure every shot lived up to his high standards, and every shot looked technically perfect. That might not make much sense, but trust me, this film has his stamp all over it. The weakest part of the film was the script. I didn’t care very much about Benjamin Button or the people that he encountered in his life. Jared Harris is a noted exception, as he does some fine supporting work as the sea captain. This is not the fault of the actors, as they are giving it their all, but I blame it on the script. Eric Roth, who wrote Forrest Gump, uses some of the same writing devices as he did in Gump, and the film clocks in around 2h45m, which seems to be overlong. You might recognize the feather device that Roth used in Forrest Gump making a bit of an appearance again. Having said that, it’s still worth checking out, so pick it up this Tuesday. 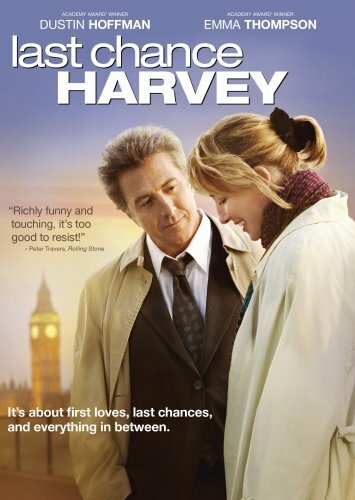 Last Chance Harvey – This film was released at the end of 2008, hoping to get some Oscar nominations for its actors, Dustin Hoffman and Emma Thompson. Unfortunately, reviews were mixed, but the one thing they all seemed to say that Hoffman and Thompson were fantastic, taking average material and making it better than it should be. The premise is quite simple: two older people meet in London, and share a day together. Do they fall in love by the end of the film? I haven’t seen Last Chance Harvey, but I have my suspicions that they do. If you’re a fan of either actor, then this film belongs in your collection. Wendy and Lucy – I’m sure you’re saying to yourself “I have never even heard of this film.” Well there is good reason. It got a very small release in the winter of 2008, but it is apparently worth checking out for the performance of Michelle Williams. 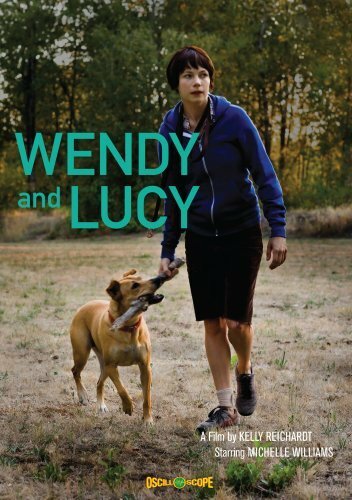 There’s not very much to say about Wendy and Lucy, except that it is a drama about a woman who is on her way to a summer job, when her car breaks down. Her life derails from that point on. If you like good acting, this film is worth checking out.